£1 a litre - too good to be true? Drivers have been warned to expect a rise in petrol prices due to the storm that has ravaged the American South. Petrol prices may be falling, but motorists should not start the celebrations just yet. Petrol prices could fall in coming weeks with the RAC forecasting it could even drop below £1 a litre. Supermarkets slashed their petrol prices as it was claimed the price of fuel could drop to £1 per litre amid falling oil prices. The AA's president has called for petrol 'price transparency' after the organisation published figures showing the cost of fuel fell much lower across north west Europe. If the forecourts think they are being blamed unfairly and the Government wants to get it right when pointing the finger of blame for families and businesses being denied the benefit of lower fuel costs, there is a very simple solution: oil, wholesale and pump price transparency. 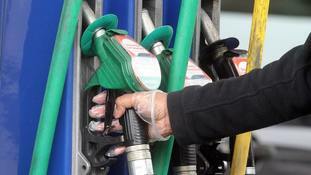 The AA said the average petrol pump price has dipped from 127.22p a litre in mid-October to 122.93p this week. Diesel has fallen from an average of 131.30p a litre to 127.43p. However, AA analysis shows that since November 2010 the rise in the wholesale price of petrol across north west Europe has been much lower than the rise in the margins for retailers and suppliers and for refiners and petrol commodity traders. It all means that although the wholesale price of petrol is back to where it was four years ago, the cost of petrol at the pumps is still a lot higher now than the average of 118.83p a litre in this week in November 2010. The AA has said that motorists are still getting a poor deal at petrol pumps despite a big dip in the price of fuel in the last month. Forecourts have taken the blame for being slow to pass big falls in world oil prices on to motorists. 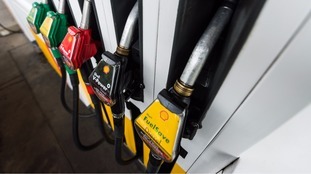 But the AA said that higher VAT, fluctuating exchange rates and increased margins over the last four years for retailers and suppliers and for refiners and market traders have all combined to keep pump prices comparatively high. Asda could spark a supermarket price war by cutting the cost of its fuel. 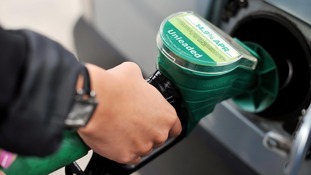 From tomorrow, Asda is reducing the price of its petrol by up to 2p a litre, with diesel coming down 1p a litre. This means that drivers filling up at Asda will pay no more than 124.7p a litre for petrol and 128.7p for diesel - the lowest prices since January 2011. Asda petrol director Andy Peake said: "It now costs £6 less than last summer to fill up a family car with fuel, meaning we're putting much-needed cash back in drivers' pockets for those bank holiday ice-creams." Lower petrol prices helped inflation fall to a new four-year low of 1.7% in February, official figures showed today. It marks the fifth monthly slowdown in a row. Petrol prices dropped 0.8p per litre between January and February this year, compared with a 4p rise for the same period in 2013. The Consumer Prices Index rate fell from 1.9% in January as it continued to fall short of the Bank of England's target of 2%, the Office for National Statistics said. CPI has not been lower since October 2009, when it stood at 1.5%. The fall in inflation to 1.7% was widely predicted and suggests private sector pay growth - which was also 1.7% in the three months to January - has already caught up. However, total wages are only rising by 1.4%, with ordinary public sector workers seeing a rise of just 0.9%, according to the latest figures. This closure is a major blow for the workers involved, local employment and indeed the fuel supply chain. The AA is concerned with the impact of this refinery closure. The European commodity trading houses have been predicting the loss of five to six refinery plants over the next two years. In March/April of last year, with the closure of refineries and the impending start of the US motoring season, wholesale prices went up by 20 percent, adding 8p to 10p to a litre of petrol. The spike was short-lived because US drivers cut back and some of the refineries were bought. However, the damage was done and a new UK petrol record (142.48p a litre) was set. Let us hope this decision can be reversed.